USDJPY is chiefly under the influence of the US economic reports such as Continuing Claims ,Import Price Index (M/M), Import Price Index (Y/Y) and Initial Jobless Claims. The support rests at 100.990 with resistance at 101.690 which both lines are below the monthly pivot point at 103.160. The EMA of 10 is moving with bearish bias and it is located below the EMA of 100. 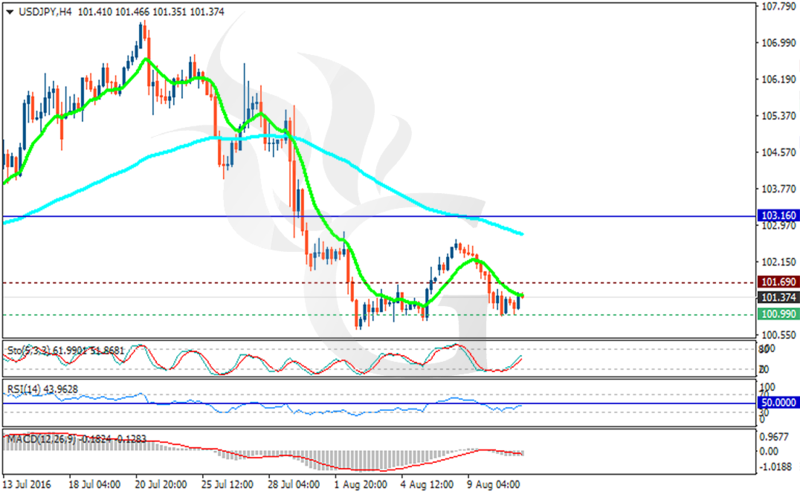 The RSI is below the 50 level, the Stochastic is showing upward momentum and the MACD indicator is in neutral area. If the pair goes upward it will reach 102 area however from downside it may fall towards 101 area.